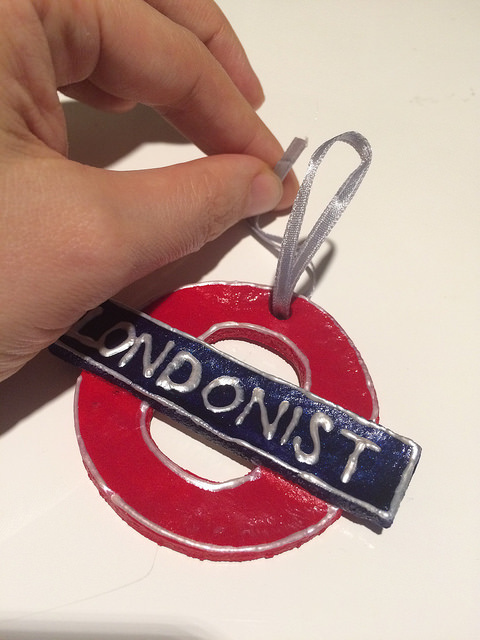 With salt dough, paint and string... you can have your very own tube roundel to decorate your Christmas tree this year. Surely this is the ultimate London Christmas decoration. Time required: Salt dough takes a couple of hours baking, and is best left overnight, so this makes a great weekend craft project. 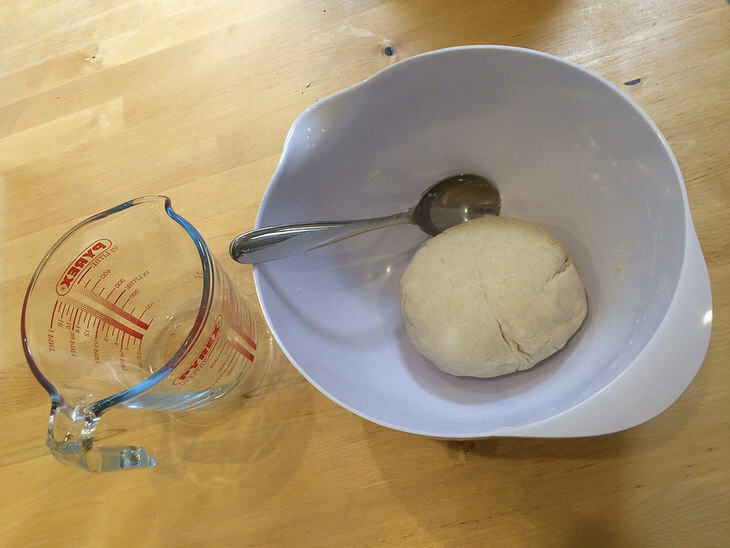 Get your hands in and start kneading the dough, just as you would for bread. Make it into a ball. 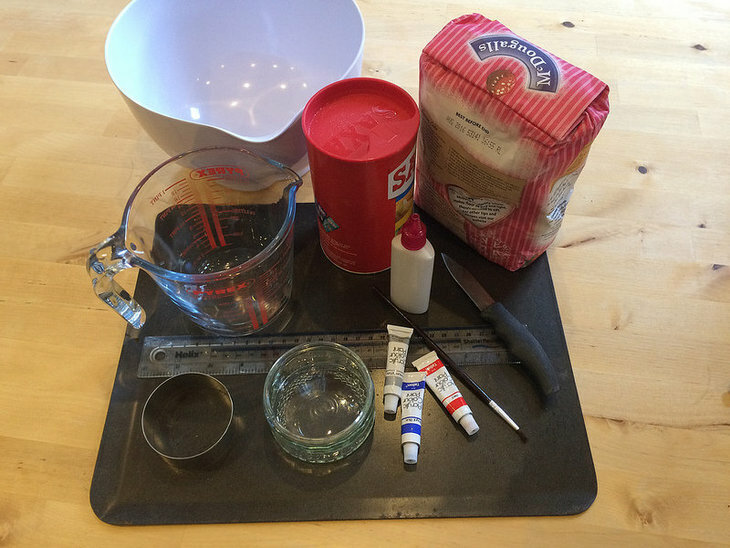 Knead the dough onto your worktop or chopping board. If you’ve got the right consistency, you shouldn’t need a dusting of flour. (If it starts to stick add some more flour and work in.) Knead your dough until it's smooth, as you would for biscuit dough. Roll your dough out to the desired thickness. We went for something about 3mm thick. 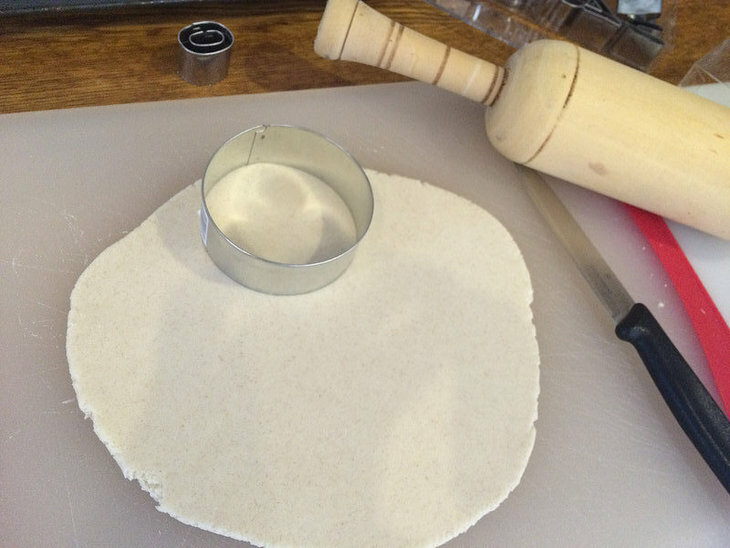 Use your cookie cutter to cut circles from the dough, just as you would for biscuits. 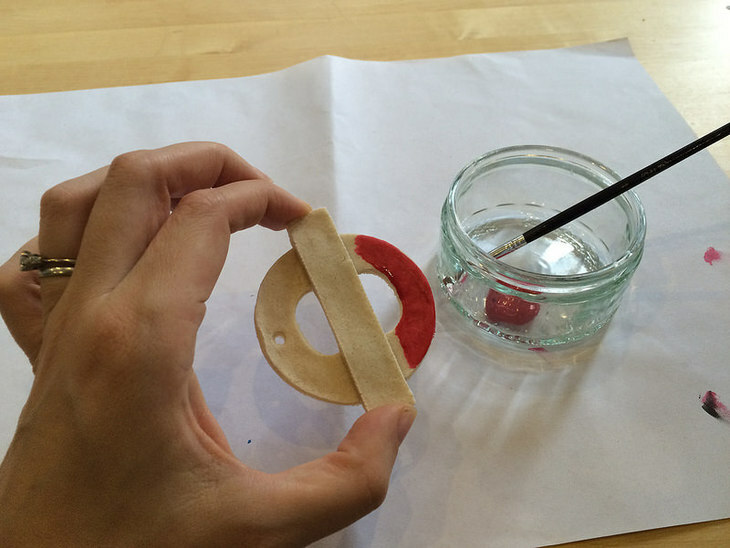 Again, using a sharp knife, cut a strip of dough to form the central bar of your roundel. Our cookie cutter is 6cm in diameter; our central strip is 8cm long, and 1.5cm wide. Lay the central bar over the ring, sticking the two parts with a smear of water. Use a drinking straw to poke a hole in your roundel; this is where you'll thread your ribbon to hang it from the tree later. Carefully place your roundels on a baking tray. You now need to bake your roundels in a very low oven for about 3-4 hours. We had ours on 50C. Turn the decorations over halfway. You'll know when they're done — they'll be slightly darker in colour and very hard. It's best to leave your salt dough decorations somewhere overnight before painting them (maybe near a radiator) to get the last of the moisture out. Now you're ready to decorate! 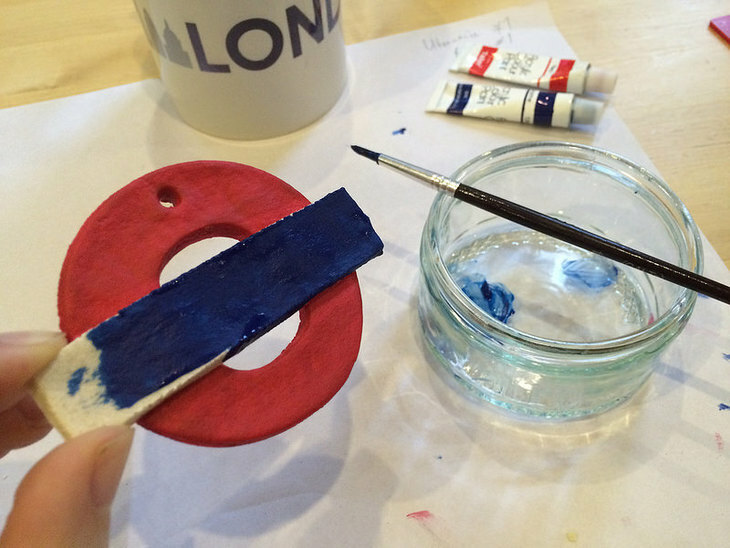 Paint the circle of your roundel with the red acrylic paint and the central bar of your roundel with the blue. Give your paint plenty of time to dry. 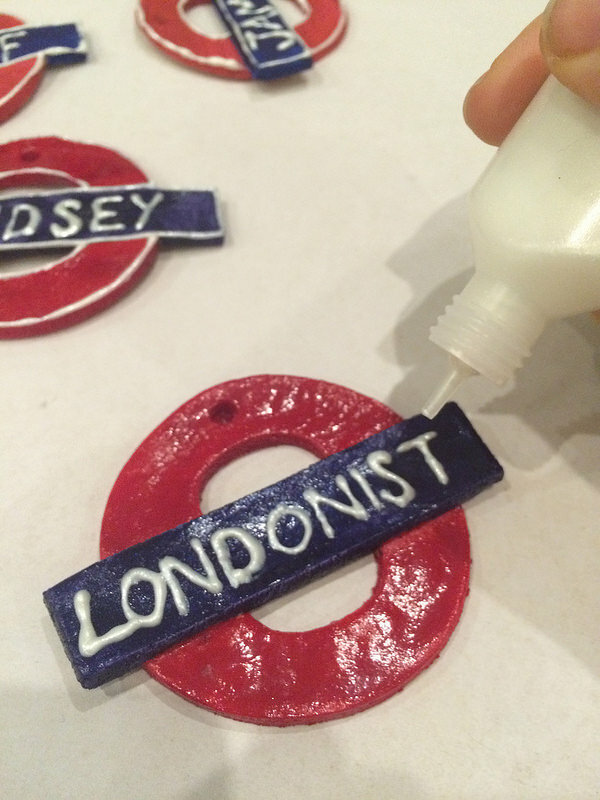 Once the paint is completely dry, it's time to add your lettering with your white puff paint. 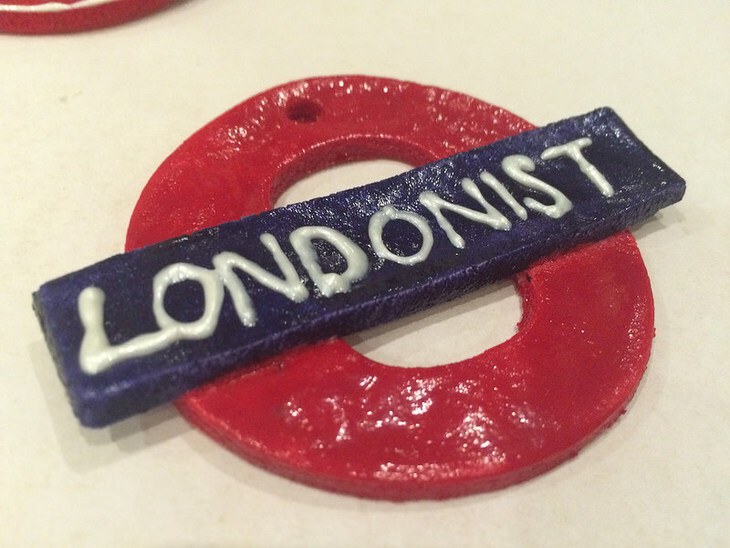 We went for 'Londonist', but you could write whatever you want. Angel? Puddington? Three Kings Cross? 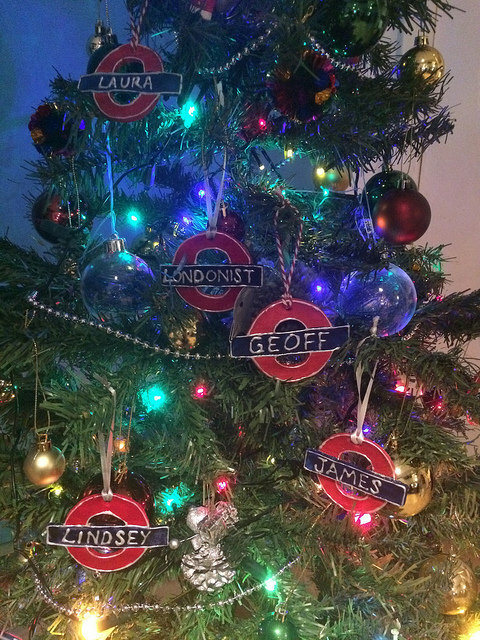 Or use your friends' names for personalised decorations. 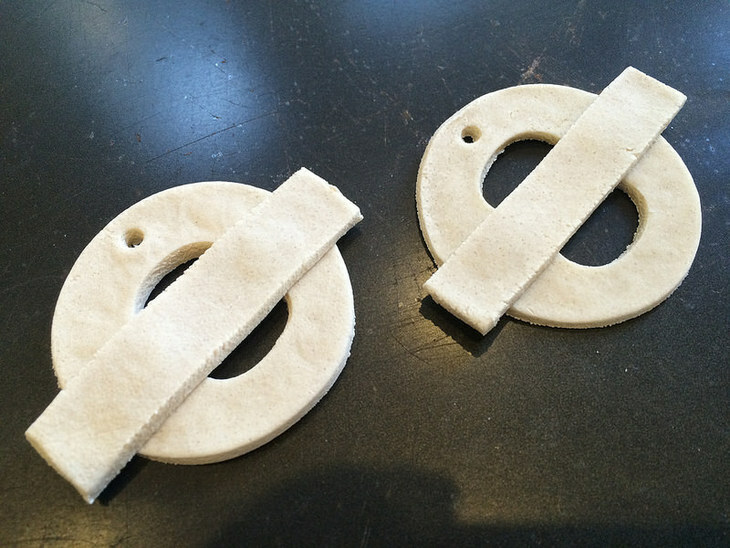 We also gave our roundels white edging, to make them a little more Christmassy. Don't forget — puff paint takes ages to dry (our tube suggested four hours), so no touching until you're sure it has set. Thread a circle of ribbon through your roundel. We used a cocktail stick to push the first bit of ribbon through the hole. Thread the end through the circle to create a hanging loop. Hang on the tree, and enjoy! 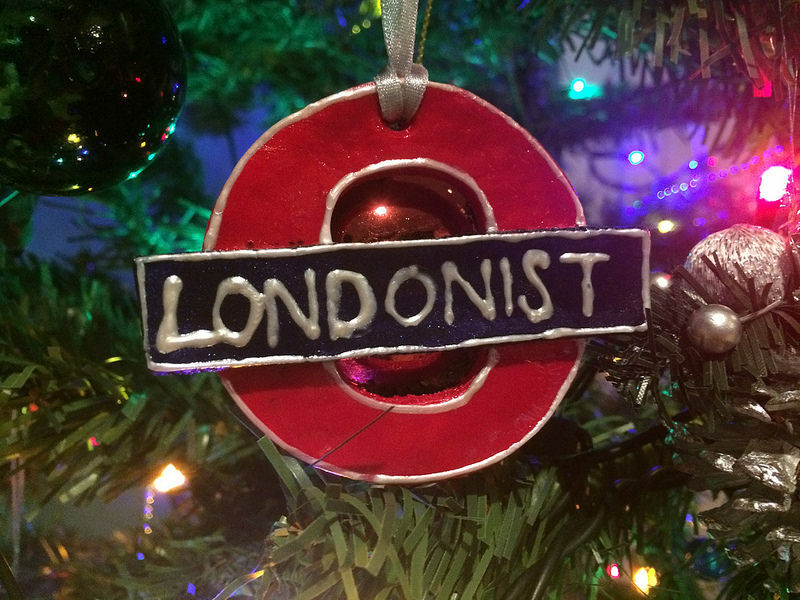 Please share your Londony Christmas craft decorations with us, either in the comments, on Twitter, or on Instagram, tagged #londonistcraft.